WOW! 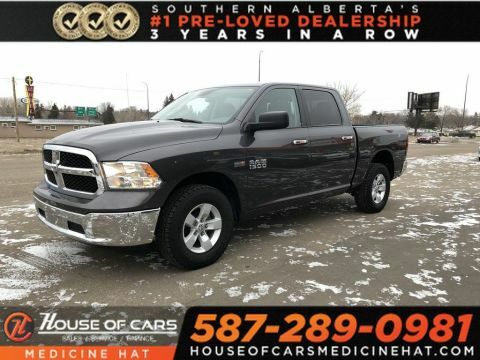 This 2018 Ram 1500 SLT comes with 4x4 power windows,door locks and mirrors,room for 6,bed liner and so much more. This wont last long! 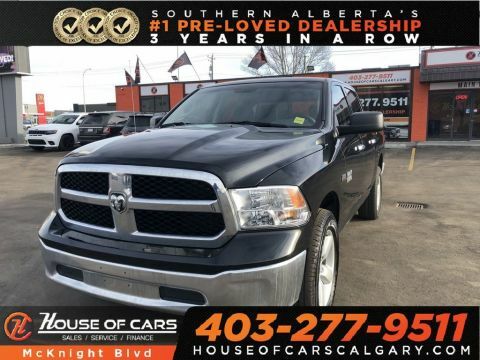 *TOP USED CAR DEALERSHIP 2016 in Calgary AB Top Choice Awards *TOP USED CAR DEALERSHIP 2016 in Calgary AB Metro Calgarys Community Choice Awards *2015 PLATINUM DEALER AWARD Scotia Dealer Advantage *2014 VOLUME ACHIEVEMENT AWARD Scotia Dealer Advantage *2014 ELITE DEALER TD Auto Finance *2013 ELITE DEALER TD Auto Finance Did you know...the value of a new vehicle can depreciate by as much as 11 just for driving home from off the lot? So why buy new when barely-used will do? 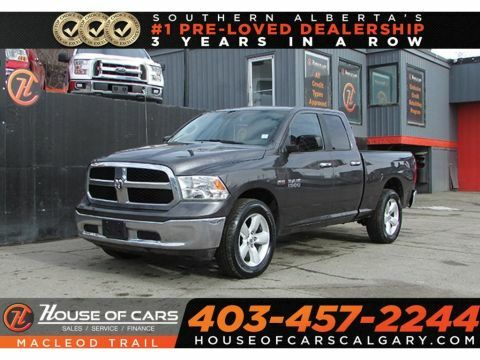 *Currently selling 2016 models* Good Credit Bad Credit New-To-Canada All Credit Accepted Visit WWW.HOUSEOFCARSCALGARY.COM to apply today - Low Bi-Weekly Payments - Over 300 Cars Trucks and SUV's - Credit Consolidation - Credit Rebuilding Program - Unemployment Insurance - Private Sale Financing Cant find the vehicle youre looking for? Well find it for you We have access to thousands of vehicles countrywide. 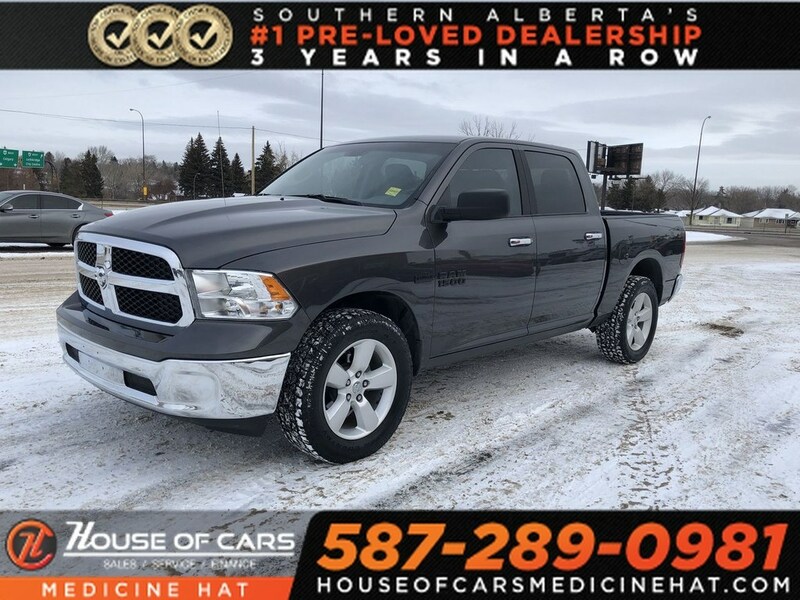 Call us at 587 289-0981 or visit our website at WWW.HOUSEOFCARSMEDICINEHAT.COM *ALL VEHICLES COME WITH FULL MECHANICAL FITNESS ASSESSMENT VERIFIED CARPROOF WARANTY IS AVAILABLE Located 621 15th Street SW Medicine Hat Alberta T1A 4W4 587 289-0981 Price is based on vehicles only. Lubrico warranty aftermarket products GST extra O.A.C.. All pictures are an accurate representation of vehicle being sold. Financing is available Your ability to obtain financing as well as the APR term and other finance offer specifics can only be determined based on your creditworthiness after submitting a credit application. Each individual's credit will result in different bi-weekly payments and cost of credit amounts. 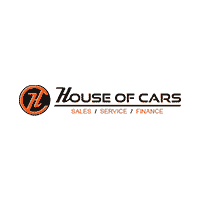 House of Cars Inc. is an AMVIC licensed automotive retail dealer.